Who doesn’t love cupcakes?! 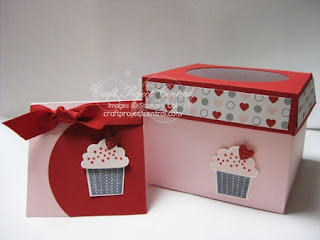 Here’s a cute cupcake box to put a yummy cupcake in and give to a friend with a little matching note card! In addition to your friends, how about giving a cupcake to the kids’ teacher, or a co-worker on their birthdays? This project is also great for a club or class project! This fun project comes to you designed by Sonya! just subscribe to April at Craft Project Central! As promised I have something fun to give away to one lucky blog reader! Simple, just leave a comment on any of my blog posts dated today (4/20) through Friday (4/22). If you would like to follow my blog, that would be awesome, but it is not required to win. I will draw one random winner and announce them here on Saturday 4/23, so check back to see if it's YOU! That is a good project idea and you did a great job with it, AM. Pop in to check out your blog every day!! The cupcake box is too cute & what a great idea! TFS!! Neat giveaway! I know I don't comment often, but I love seeing all of your beautiful cards! How adorable Anne Marie! I really need to try to create some boxes. Your cupcakes look so yummy! Your project is adorable! I love the pink. This is such a sweet gift combo. Thank you for taking the time to leave a comment! 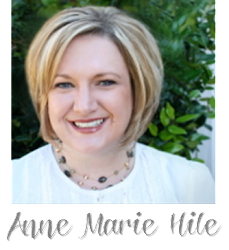 The content of this blog is the sole responsibility of Anne Marie Hile as an Independent Stampin' Up! demonstrator and the use of and content of classes, services or products offered is not endorsed by Stampin' Up!.